1. Broccoli can provide you with some special cholesterol-lowering benefits if you will cook it by steaming. The fiber-related components in broccoli do a better job of binding together with bile acids in your digestive tract when they’ve been steamed. When this binding process takes place, it’s easier for bile acids to be excreted, and the result is a lowering of your cholesterol levels. Raw broccoli still has cholesterol-lowering ability—just not as much. 2. Broccoli has a strong, positive impact on our body’s detoxification system, and researchers have recently identified one of the key reasons for this detox benefit. Glucoraphanin, gluconasturtiian, and glucobrassicin are 3 glucosinolate phytonutrients found in a special combination in broccoli. This dynamic trio is able to support all steps in body’s detox process, including activation, neutralization, and elimination of unwanted contaminants. Isothiocyanates (ITCs) are the detox-regulating molecules made from broccoli’s glucosinolates, and they help control the detox process at a genetic level. 3. Broccoli may help us solve our vitamin D deficiency epidemic. When large supplemental doses of vitamin D are needed to offset deficiency, ample supplies of vitamin K and vitamin A help keep our vitamin D metabolism in balance. Broccoli has an unusually strong combination of both vitamin A (in the form of beta-carotene) and vitamin K. For people faced with the need to rebuild vitamin D stores through vitamin D supplements, broccoli may be an ideal food to include in the diet. Visit whfoods.org for health facts on the foods your eating. 1. Preheat oven to 350 degrees F. Spray a 13 by 9-inch baking dish with vegetable oil cooking spray. 2. 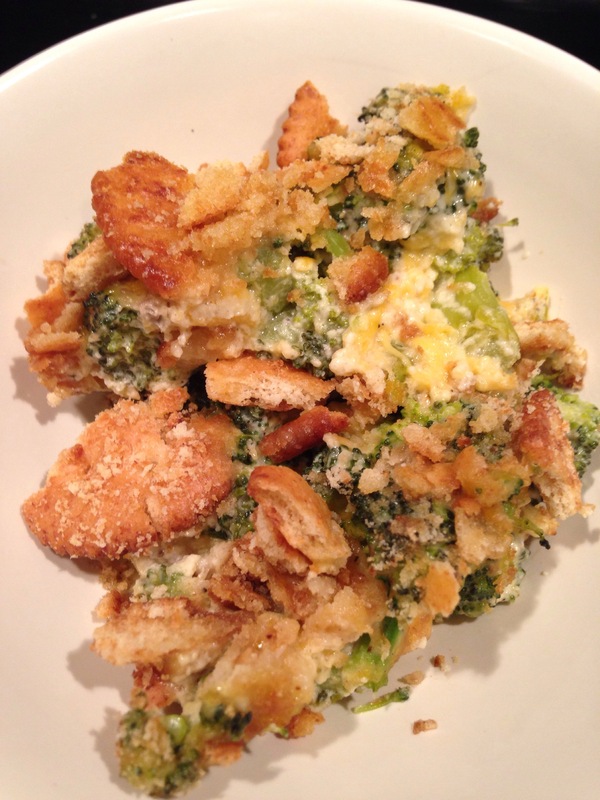 In a large mixing bowl, combine broccoli, mayonnaise, cheese, soup and eggs. Mix well with a metal spoon. Place the mixture in the prepared baking dish. 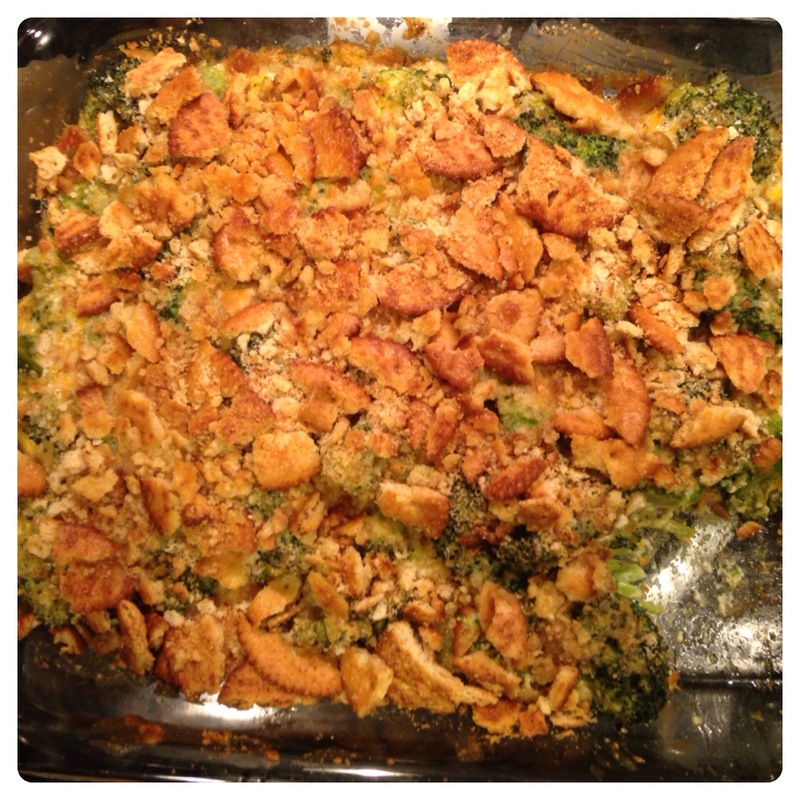 Top with the crushed crackers and pour the melted butter evenly over the crackers. Bake for 35 minutes or until set and browned.